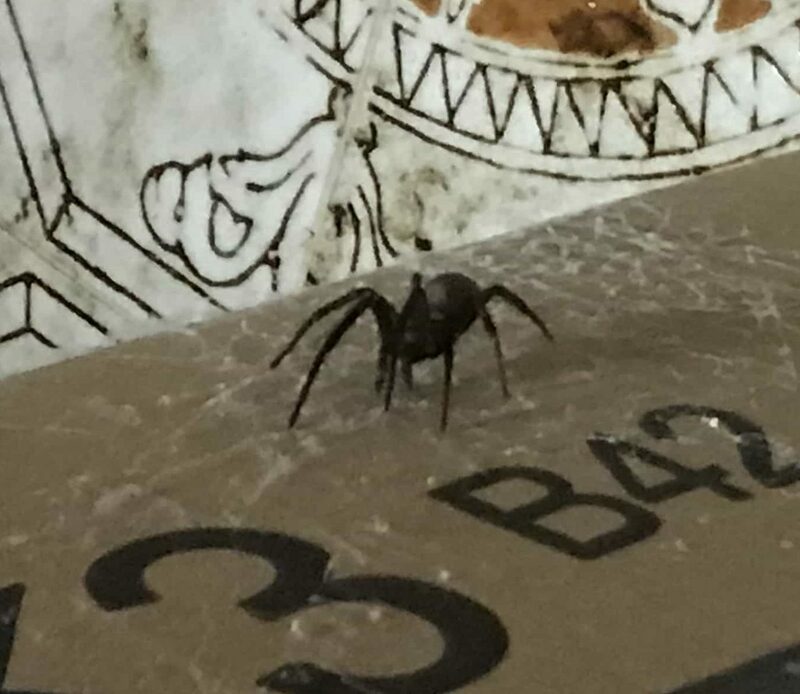 What kind of spider is this? Found at parents home in a closet (bottom corner behind a cardboard box) in corpus Christi, Texas. About 2.5" big in the picture. There was another similar spider dead and dry in the web that we saw first (maybe a male that the female killed and ate?). There was a web with multiple eggs near the live spider. The web was not uniform but more of a catch all connected between the box and walls.